Tevez will have work to do in winning over Shanghai fans fed up with his poor form and injury record. Many had called for him to not bother returning from Argentina. 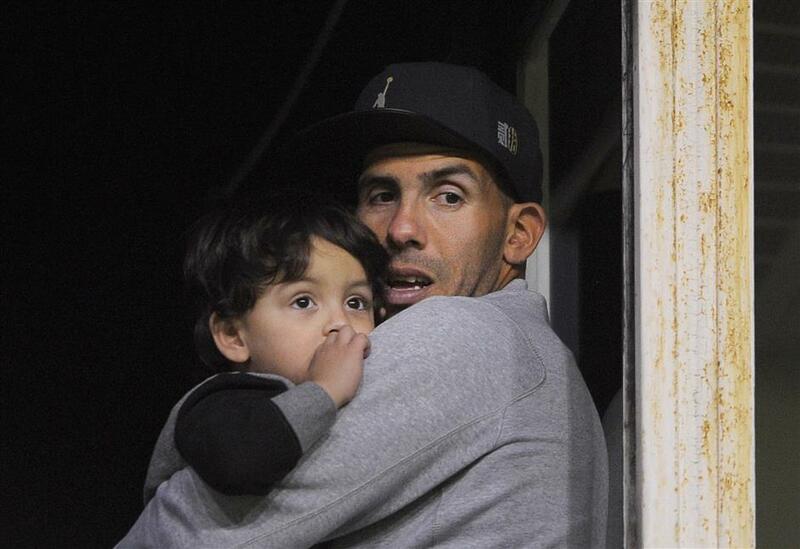 Former Boca Juniors star and current Shanghai Shenhua striker, Carlos Tevez of Argentina attends the Argentina First Division Superliga match between Boca and Olimpo at La Bombonera stadium in Buenos Aires on August 27, 2017. Underperforming Carlos Tevez has returned to China following treatment in Argentina and is back training with Shanghai Greenland Shenhua, the club confirmed on Thursday, allaying doubts about his immediate future. The 33-year-old forward had returned home to Argentina for two weeks to seek treatment on a leg-muscle injury, triggering speculation that he may not come back to China, where he has failed to settle. The former international, one of the highest-paid players in the world on reported weekly wages of about 730,000 euros (US$864,930), has scored just two goals since joining Shenhua at the start of this season and has missed half of the team's games through injury. He flew to Argentina for treatment with the consent of the club, utilizing a break in the Chinese Super League season, but had agreed to return on August 30, Shenhua said earlier. "Tevez returned to Shanghai yesterday (Wednesday) and he starts training today," a club spokesman said. "The injuries are healed and he will participate in the games as normal." He will have work to do in winning over Shanghai fans fed up with his poor form and injury record. Many had called for him to not bother returning. Tevez angered supporters in April when he was spotted at Shanghai Disneyland the same day he missed an important match due to injury, and he has hinted that he may look to leave China at the end of the season. Tevez has a history of falling out with clubs and coaches during a colorful career that has included spells at Manchester City, Manchester United and Juventus. Despite earlier hopes of a strong showing this year, Shenhua is below mid-table under Uruguayan coach Gus Poyet, who joined this season and is also in the hot seat. The club's next league match is not until September 10 against struggling Henan Jianye.